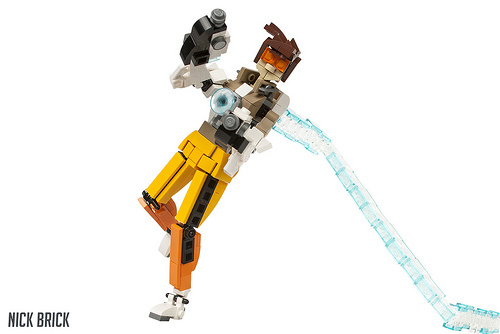 Overwatch continues to inspire LEGO builders with the hit game’s fun and varied heroes. 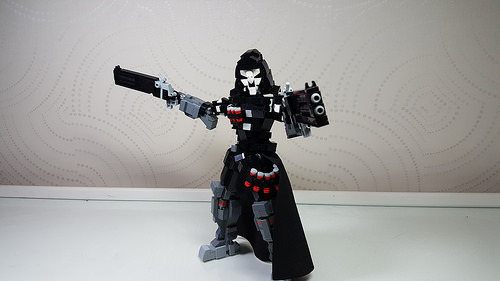 Let’s rally up a few more characters to add to a lineup of great LEGO Overwatch builds, like these great characters from Tim Schwalfenberg, Simon Liu, or my own D.Va’s Light Gun. 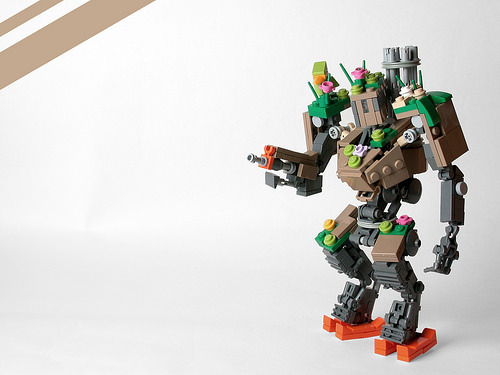 First up, from Dead Frog inc., is Bastion in his partial camouflage from the animated short “The Last Bastion.” The color choices on his robotic death machine and the overgrowth are great. Next up, from Piggy Brother, is Reaper. The builder has constructed several other heroes from the game, and his Reaper is one of my top favorites from him. The mask, dual hellfire shotguns, and shotgun shell belt are standout details to me here. Finally (from yours truly) is the time-jumping mascot of Overwatch, Tracer. Her build started with the idea of arranging two translucent orange half-circular tiles in an hourglass shape to create her goggles. One of the most challenging parts of the build for me was finding a technique that would look good as the lacing on her leggings. I thought the undersides of the various 1×1 brick types used structurally was a good solution.